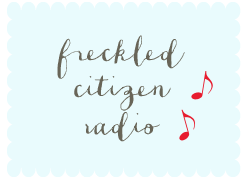 Freckled Citizen: Prague and Vienna and Ljubljana, oh my! In the excitement over picking up our lives and moving to a brand new city, a big event on our calendars got a tad overshadowed for a while. Now, though (thanks largely to the nice tax lady at H&R Block), our excitement is back in full-swing: we're going to Europe in six weeks! FROM the 16th-century fortress walls atop Castle Hill, the view of Ljubljana is exquisite: waves of red-tiled roofs, turquoise domes, spires and, here and there, lacy bridges spanning the green Ljubljanica River, stitching the two sides of Slovenia's capital city together. The overall effect is that of a snow-globe town in the foothills of the Alps. I have so many friends who just adore this city... I can't wait to see it for myself. We're looking at spending two and a half days there, so we've gotta make it count! 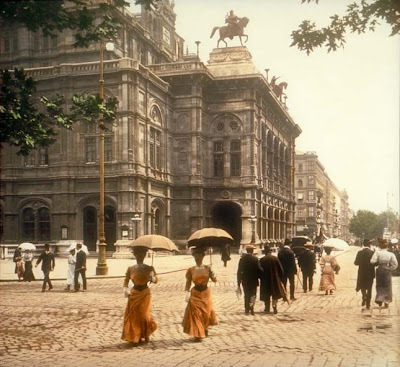 I couldn't resist using this 1902 photo outside of the Vienna Court Opera - isn't that spectacular? We'll have 1.5 days to take this city in... short and sweet, but it looks so lovely! Four days of partying with my rather fantastic in-laws and cheering on one of our favorite couples ... I am pumped!! So tell me, those of you who've been to any of these cities: what's on our must-do and must-see list? Time will be short, but we're excited to gogogo once we get there. 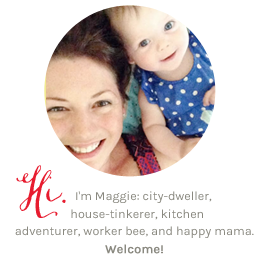 I'd love to hear your recommendations! Wow--what an awesome trip, and the castle is unbelievable. Plus, you'll have perfect early summer weather--yay! Awesome! You are going to have an amazing time! I LOVE Prague! I am so insanely jealous. It's my dream to get back there and to bring Mike with me this time. Do not miss the astronomical clock. It's always crowded with tourists, but there is a reason for that...it's really gorgeous. And walk up to the castle and through the cathedral. On the way up you'll see a whole bunch of the city and for architecture junkies like me, the castle and cathedral are just breathtaking. Oh and the view from up there is amazing. I've never been to any of these cities, but I'm pretty sure that you're going to have to gorge on pastries in Vienna! And just this weekend I heard a fact on "What Do You Know? ", about Ljubljana that is fitting for you... apparently it has the worst public transportation in the world (or at least Europe). Make sure to take lots of photos! Oh HOW exciting!! I went to Prague in high school and I can't wait to go back as an adult, I think I'd appreciate it infinitely more. No tips to share really, just wanted to say how thrilled I am for you. Prague: Jewish cemetery, eat traditional Czech food (ie brambory- omg the most amazing potato casserole thing I STILL THINK ABOUT), wander the tiny streets, see the musicians on the Charles Bridge. Vienna: When I was there we rented bikes one day and used them along the large circular road around the center of Vienna (the ringstrasse) and then had a great picnic after seeing the amazing architecture. Also, the museum of modern art is amazing (but I also am kind of obsessed with modern art and love pretty much all modern art museums). I also went to the opera which was amazing. Are you flying? Training? Driving between each of these locations? I've taken the train from Prague to Vienna too if you want any info about that. I'm so jealous! Your trip sounds amazing! What the WHAT? You're going to Slovenia?? That's amazing! I've heard such great things about Ljubljana - I can't wait to hear all about it. You've also just given me a total case of wanderlust. Andy will thank you later, I'm sure. Oh Vienna! My husband and I were in there last fall and are trying to figure out how we can move there. I second the biking around the Ringstrasse. There are racks of bikes you can pick up and drop off around the city and the kiosks used to rent them are super easy to figure out. It's also a great walking and public transport city. I highly recommend the various palaces - the Hofburg is in Vienna; the Belvedere has a great view of the city and the largest Klimt collection in the world; and Schonbrunn's majesty is akin to Versailles. The holocaust memorial is also very moving. Ahhhhhhh!! Have fun!! I haven't been to any of these cities, (sorry) but I know you'll have an amazing time planning and exploring! Schonbrunn Palace is a must! Take a picnic lunch and eat it on the lawn! Um...amazing! My friends get married in magical lands like Greenville and Nashville (not bad places mind you)...sorry you have to go all the way to Europe for your wedding celebrations. har har. looks amazing! Wow, I've actually been to all three. Prague is great, one of my favorite cathedrals (the one on the hill). Eat everything. Vienna has sooo much to see as far as art, culture. Rest up, you'll be wiped out from everything there. The wine cave/cellars are fun. 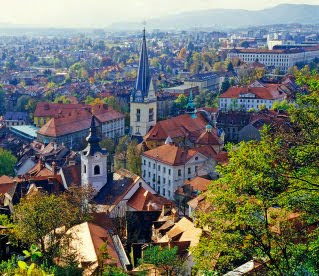 Ljubljana is the smallest, easiest to see all of. 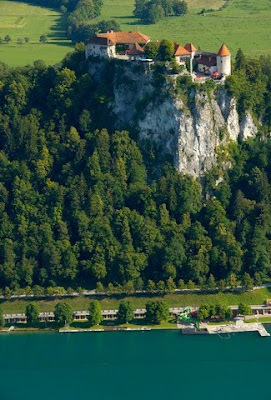 The pic you have at the top, above, is in Bled and that is a must-see. A couple of hours out of town and breathtaking. The pics there are not doctored - the lake really is that blue! Have ice cream everywhere, you'll walk it off! Have a great time. I don't even have a passport, I feel like I am being left out of experiencing the world. Maybe before I turn 50 I should get a passport, thats only next year! Your trip sound wonderful. I want to go someone wonderful too! Have fun! You will love Ljubljana. I was there for a day a few years back on my way to Budapest. The castle is magnificent. I loved walking through the Old Town. Enjoy your trip! You might like the Hundertwasser museum in Vienna. Also, I love Ringstrasse and the Hofburg palace. Stephansdom is beautiful. Vienna is a very regal city. 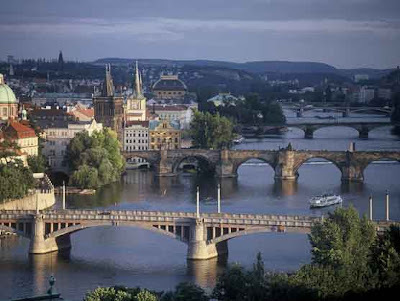 In Prague - Charles Bridge and good, heavy Czech food. Vienna might be my favorite city in all of Europe! I just loved it there! The food was incredible *make sure you get a hot dog!) and the buildings are stunning. The whole place is magical! You're going to love it!